In A Heartbeat made two more AED Donations over the last couple of days. 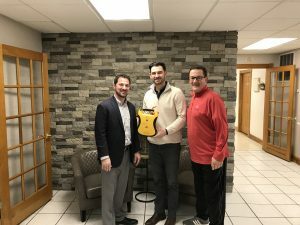 On Saturday, February 9, In A Heartbeat donated to Temple Beth David located in Cheshire, CT. On Monday, February 11, In A Heartbeat donated an AED to Midstate Christian Academy in Meriden, CT. In A Heartbeat has now donated 64 AEDs!